The pic above illustrates the first word of this blog: Wow! This is actually the day after my haircut. I thought the stylist went a little too short at first but I love the way it turned out. I asked for a number 4 for the back and sides. No scar can be detected. Actually, a colleague mentioned to me that the clean cut George Clooney look suits me. On top of that, my confidence is through the roof. I can actually part my hair like I did when I was in my teens. The above pics in my mind don’t do me justice. I’ve reinvested in me by not only getting this procedure but looking after my skin better. Moisturizer and sun screen should be on everyone’s shopping list. I feel like a new man. Baseball caps have now become a thing of the past. Still wear one to play golf though but no more on casual Fridays. There’s also no need to back out of hanging out with friends because of my receding hairline and the fear of someone making a joke about it. I was looking at my pre-op pics as I’m editing this entry and I can’t believe the difference. Like night and day. I must admit, the first 4 months post op went by slow. This past month showed such a significant cosmetic change that I can feel the pace picking up. Also, changes for me didn’t happen on a daily or weekly basis. I felt like every two to three weeks I would see small changes. It’s now culminated into what I hoped for. I know I have 7 more months of growth but I don’t think I’m being presumptuous here by saying thank you to Dr. Rahal and his team. This has exceeded my expectations thus far. 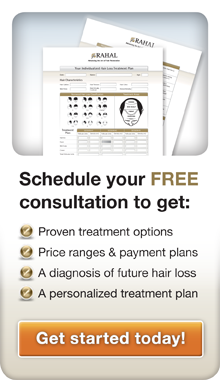 For those of you who are still on the fence about getting this procedure done, don’t be. 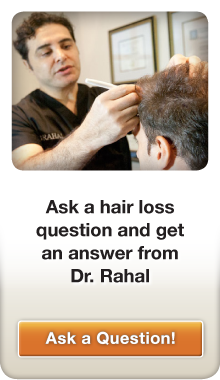 Just put your scalp in Dr. Rahal’s hands and you’ll be good to go. Looks awesome! And, you’re only @ 5 months! I agree with your Wow! Looking at your pre-op pictures and now is really completely opposite. If I can into you on the street I would have never known you had a hair transplant!